strives to promote cultural understanding and spiritual identity through exploring the art of headwrapping and its unique intersection of fashion, tradition and culture. 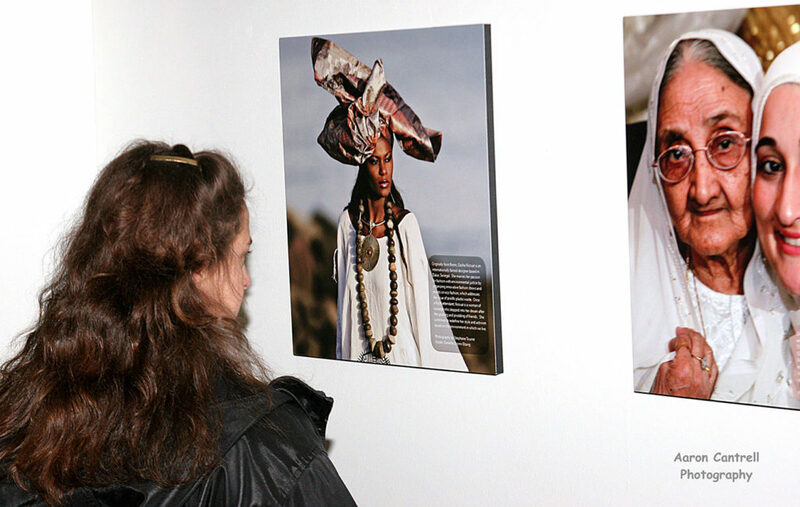 Our work has been exhibited in US libraries, universities, community centers as well as international conferences in Bermuda, United Arab Emirates and Senegal. Are you tired of everybody in the world seeming so divided? Do you like to be one of the positive people who spark conversations around hope in your family, office and community? Well coming back this summer is the Beautifully Wrapped Annual Wall Calendar. When people see it hanging up, discussions start to flow! Get one for yourself, Christmas or Kwanzaa gifts or simply for family! 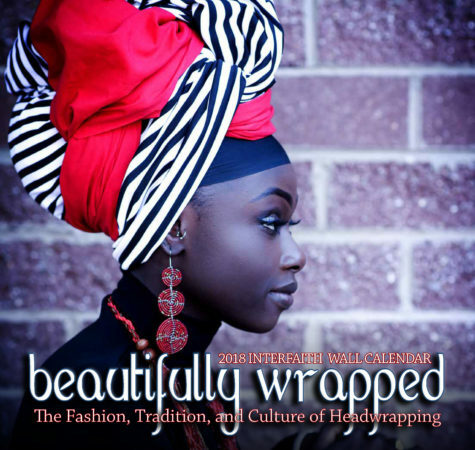 Perfect for gifts and organizational fundraisers, the 2020 Beautifully Wrapped Wall Calendar is coming soon! Since 2011, this calendar has graced the walls of offices, kitchens, living rooms, salons, spas, classrooms and other spaces with images of beauty, love, and diversity. Click the vintage edition here! Be someone who shares a bit of hope and love. All across the globe, the language of dress is spoken. Sometimes quietly, sometimes loud, sometimes understood, sometimes feared…our chosen ways of adornment speak volumes. Beautifully Wrapped seeks to explore our natural curiosity of others, in ways that are engaging, open and honest so that we may get to know a bit more of humanity. 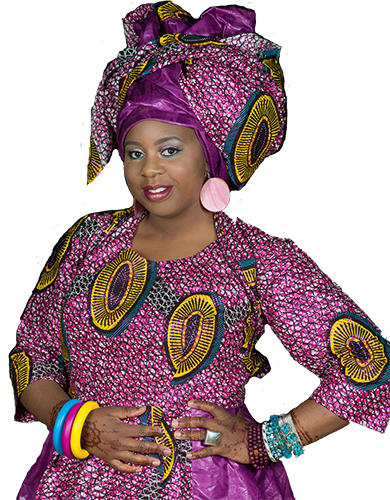 Through programs, events, headwrap parties and talks large and small, we share the global art of headwrapping. “An outfit is not complete without a crown.” – West African Proverb. Headwraps are a beautiful accessory to accentuate the face. From Vietnam to South Africa and all across the globe, various cultures around the world incorporate the beautiful practice of wrapping cloth around the head. For many, headcovering is a personal spiritual submission to the Creator. Metaphyiscal properties are a key part of controlling the energy around one’s self. Our national traveling exhibition uses the global art of headwrapping as a way to explore the intersection of faith, fashion and culture through art which asks essential questions about culture, society and the inner lives of individuals. In our contemporary world of social upheaval and religious conflict, this exhibition represents a beam of light. 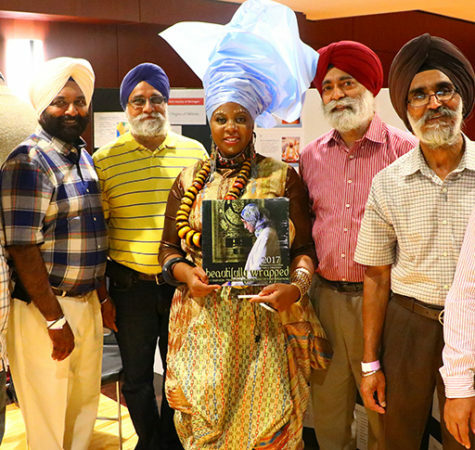 This newly expanded exhibit shall now include photography; video statements by members of the Sikh, Muslim, Jewish, Hebrew Israelite, Christian, African and Hare Krishna communities; historical and cultural artifacts; textiles and headwraps on mannequins. Compelling photographs, historical and cultural artifacts, multimedia presentations by members of headwrapping communities, textiles and graphic displays offer visitors to BEAUTIFULLY WRAPPED traveling exhibition an eye-opening and engaging opportunity to delve deeper into the intersection between fashion, faith and tradition. Beautifully Wrapped offers a powerful and fun event for your community. 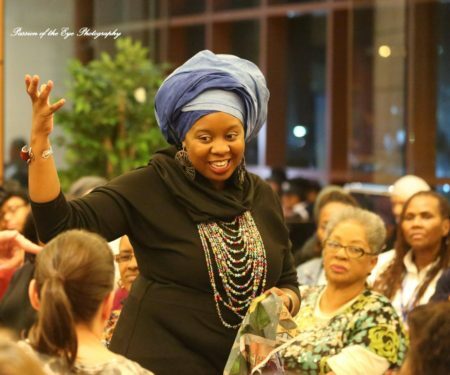 By bringing Zarinah in to share her passion for fashion and faith, audiences learn more about the importance of headwrwapping for many cultures around the globe. 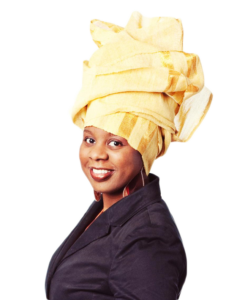 In addition, the Beautifully Wrapped wrapping team teach and provide a wonderful one-of-a-kind experience for those who want to learn the art of headwrapping for themselves. Whether a conference, university, or community outreach event, Zarinah and Beautifully Wrapped use fashion as a means to reach others and do so with humor, humility and grace! Welcome. If you are here, I can assume that you love learning about and exploring other cultures. I founded Beautifully Wrapped as a way to promote cultural understanding and healing. As an anthropologist and avid traveler, my work leads me to discover new and exciting ways for us as humans to get to know, and love one another. Whether you attend one of our workshops or events, travel with us, or attend one of our tutorial sessions, I hope you enjoy yourself and that we make your day just a little bit brighter. The act of wrapping is like the building of courage, strength, spirituality, and love all at once. With each fold, tuck or pull of the cloth, you become beautifully wrapped in a sense of inner strength and a higher purpose.